These are some of the nicest looking TM wedges in some time. There seems to be nothing reported about them and information is lacking, or at least I haven't found too much. I've attached a pic of the milling, its very pronounced and looks really good. I have yet to take them to the course but will do in the next couple of days. 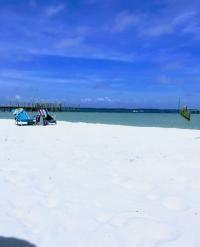 I have 52-SB, 56-LB & 60HB, if anyone wants any more info or pics then let me know. Keep us posted they look great. Curious how the sole profile compares as well as the feel. Visually the 60-HB is very similar to the Vokey K-grind which has been a love/hate relationship with me, but most recently one of love. A buddy has his already and says they are very soft feeling. I hope so. Visually they look great and that is half the battle with me. Had them for a week before offloading. The "milled" is more of a marketing gimmick that doesn't really make an iota of difference to the performance of this wedge. All in all, another decent wedge in a saturated market of wedges. Feel/sound is comparable to the old nike vr x3x series. "inefficient and dead rear cavity design"
I think the milling is just for looks. Definitely the nicest looking TM wedges to date. That's one department they were always severely lacking. I feel like these wedges have a awesome look. 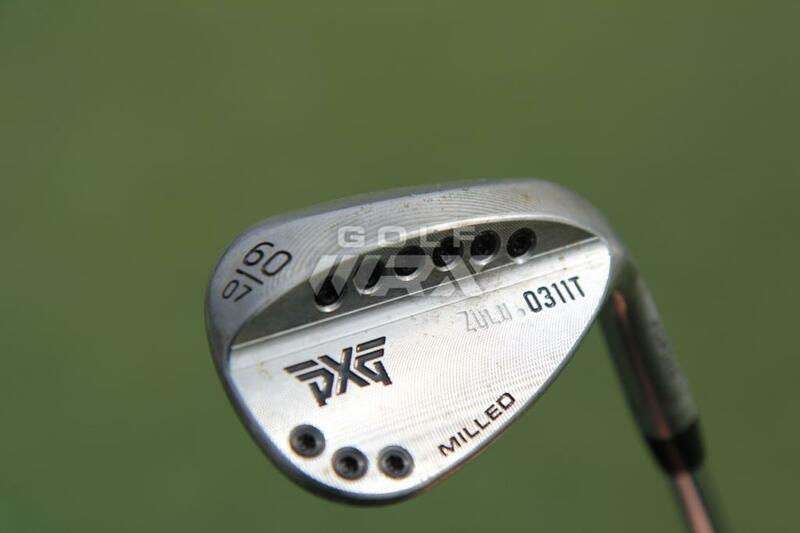 But they did take the Milled Idea from PXG no? 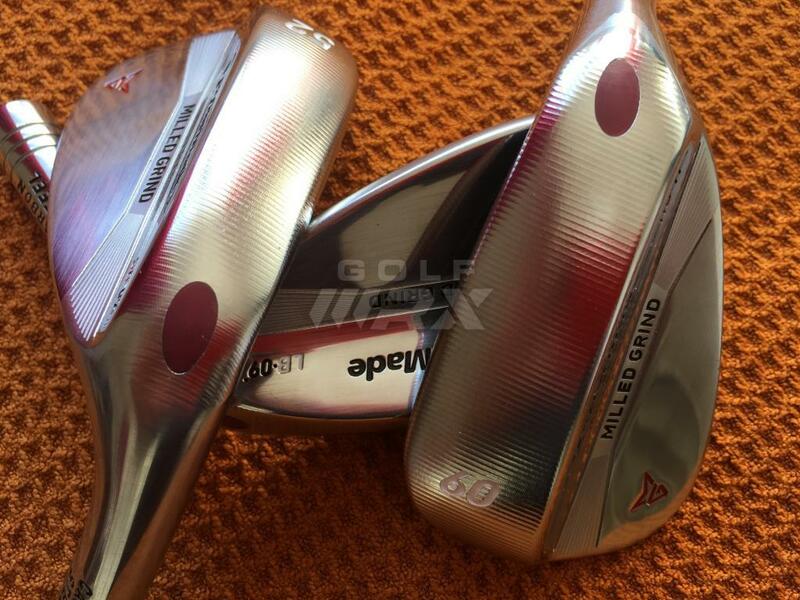 Didn't BillyHo have milled sierra wedges in the bag last season? For sure the milling marks are aesthetic only, other than being a result of their manufacturing process. However, they look really good. I've had most of the recent TM wedges and I too think they've been 'lacking', but these are very good looking. I'm hoping the performance matches the looks. 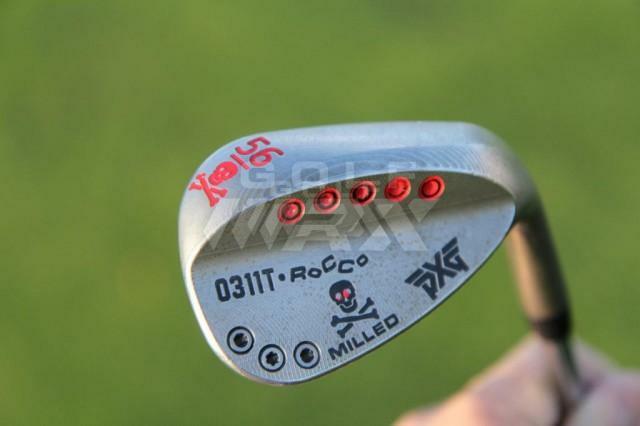 If PXG originated the heavy milling then kudos to them and I'm glad TM have done the same. Again, the milling is certainly not a functional aspect of the club, but to my eye works really well. Great looking wedges. They would look even better with a TP logo on the back instead of that red MG.
Hit a 56 and 58 at demo on Monday. Very solid feel and easy to lay open. I wish they would bring back the XFT wedge again, especially the replaceable inserts. They would make long term $$$ from the insert sales alone. I haven't tried these but I love my EF wedges from last year. I've had mine over a year and grooves still look new. They provide some serious spin. These look better and I'm sure are softer, but the EF wedges will last forever while these being softer might wear out faster. Could just be me, but I'm not a fan of the milling at all. Makes an otherwise clean wedge look unfinished IMO. Just got mine in the mail today. 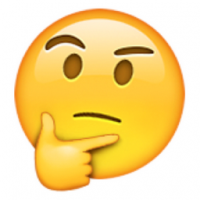 I Have a 52-SB and 60-SB. 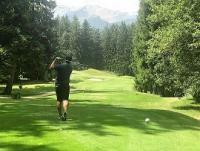 The milling obviously has no effect on playability and is not why I got the club. I was looking for a 60* with a good amount of bounce and a full standard sole with some heel relief and thats exactly what the SB is so we'll see how it plays! They look great at address/are extremely clean at setup. Will report back later. Just chipping with my 60-sb in the backyard and can already tell I'm going to love this wedge. I've been using the MD2 tour grind for a while and it's clearly apparent now that grind was not right for me. Growing up I always used Vokey's for my 60* (primary chipping/pitching club) in the 7 or 8 bounce option. These wedges had a full sole (but not a wide sole) and basically no grind to them (maybe a tiny bit of heel relief). My short game was great with these. When the groove rule changed and SM4s came out, I didn't know which grind to play. All of a sudden there were all these options. For the 60*, there was the S, L, and M grind. None of these looked like the full grind I used to play so I didn't know what to do. I tried the L, M, TVD K, and settled with with the MD2 Tour (been in bag for about 2-2.5 years). The L, M, and MD2 Tour have all dug way too much for me. The TVD K was ok but didn't have the feel I was looking for. I would never fully chili dip shots with these wedges but i would hit the majority of them slightly heavy and always come up short. I just figured my technique was wrong and I'm not one to change clubs too often so I just stuck with it. I also just learned about effective bounce and now realize that even though my MD2 Tour has 9* vs the 7 or 8 i used to play the old full grind vokeys had much more effective bounce than the MD2 Tour I've been playing. My short game slowly deteriorated as I became more and more fearful of hitting it heavy off of anything other than ideal lies. Looking back the S grind would probably work well for me. 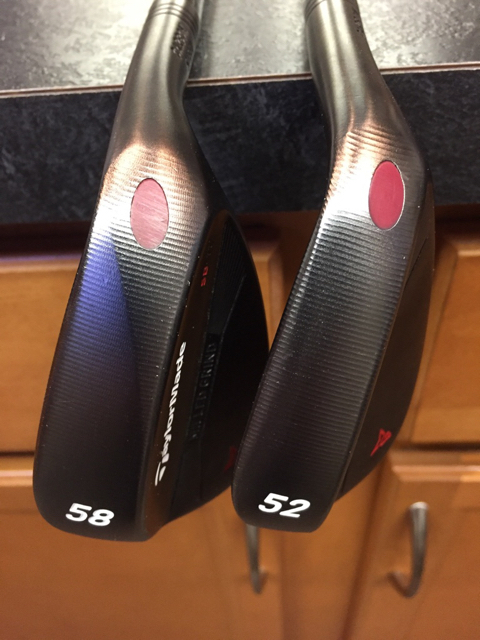 Long story shorter, this TM milled grind 60-SB feels exactly like my old wedges used to feel. The club is gliding so nicely even off these dirt lies in my backyard. There's no dig at all on square face shots even when i put the ball back of center and when I open the face the leading edge doesn't get ridiculously high like some wide sole wedges do (still higher than some other grinds but that's okay for me). Hopefully I can take it to the course. TLDR; looks good, feels good. Grind seems to match my motion unlike more aggressive C and M grind wedges. The pxg sierra are a completely milled wedge from a solid block of metal. I have 52-SB, 56-LB &amp; 60HB, if anyone wants any more info or pics then let me know. Did you get these out yet? Not yet, but they are now shafted and ready to go. I've hit a ton of carpet balls with the 60 but other than proving that TM wedges annoy my wife as much as Vokey wedges there's not much else to report as of yet. 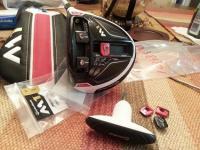 Today is to install shafts in my 770's and once that's out of the way I'll get to the course for a proper test. When is the antique bronze finish coming out? The milled sole is for manufacturing consistency. 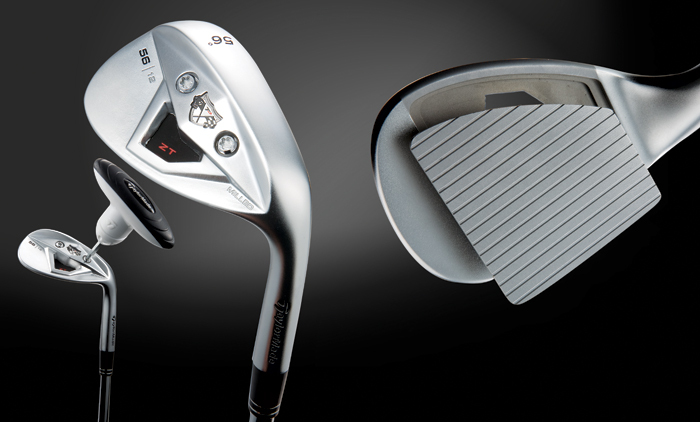 The stated bounce and grind will be the same from one wedge to another, so you will get what you are expecting and also be able to replace a worn wedge with the exact same performance. I just got the EF wedges, but these MG do look really nice. Love those wedges. 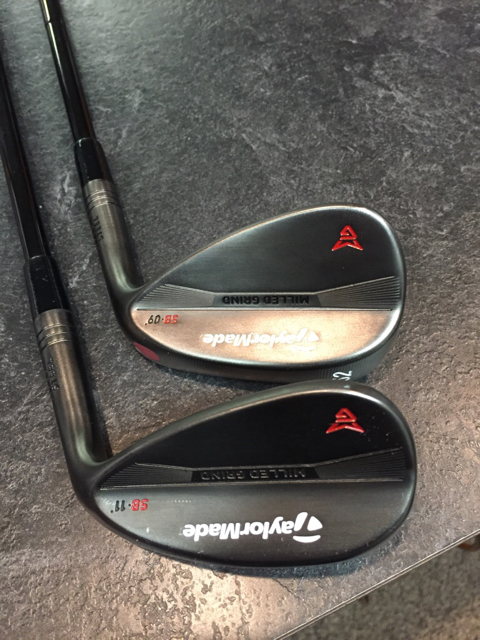 Have both the 58/09 and the 58/12 wedges. 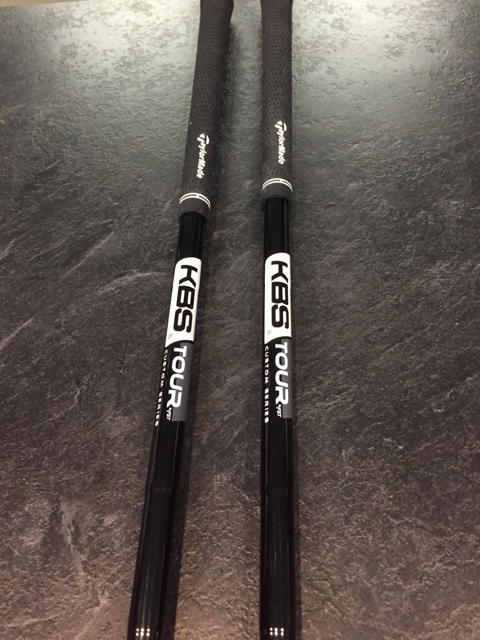 S400 shafts in both. Also have 12 total replacement faces. Will be using these wedges for the rest of my golfing life haha. Personally not a fan of the ****, I thought the EF wedges looked so much better. +1 for the xFT wedges too, still have a set in the basement I'll take out every now and then. 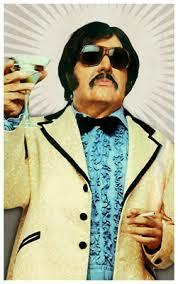 Is that the bronze I see? If so how'd you get them already? Love the dark ones.... may have to get one of the high bounce 56 ones! ****!!!! TM Ghost Spider S - 34"
Oh my, those look great!! Any precautions in changing shafts with the red plugs? Do the grooves on the sole have any effect on turf interaction on open-faced shots from tight lies? I shafted mine myself and the 'bore' doesn't go all the way through. There is room in the bottom of the hosel for the regular TM bullet style weights. So when re-shafting I wouldn't worry too much about the red plug its far enough away from the top of the hosel where the heat would be applied. It was a concern of mine too, but once in hand it became apparent that they should be fine to be heated as normal. Normal to me is a hand gas torch applied applied in a focused area of the hosel. I've now taken mine to the course and range and they are as good in performance as they are in appearance. The HB really is a Vokey K grind equivalent. The grooves are sharp and spinny, probably no more than any other new wedge, but nevertheless these grooves perform. A winner for me both aesthetically and performance wise.